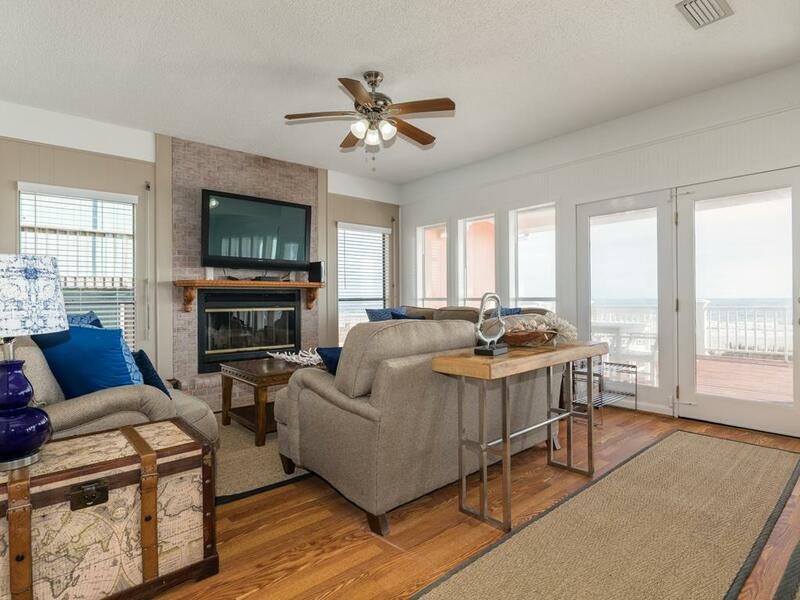 Comfortable, pet friendly beachfront escape with great views! 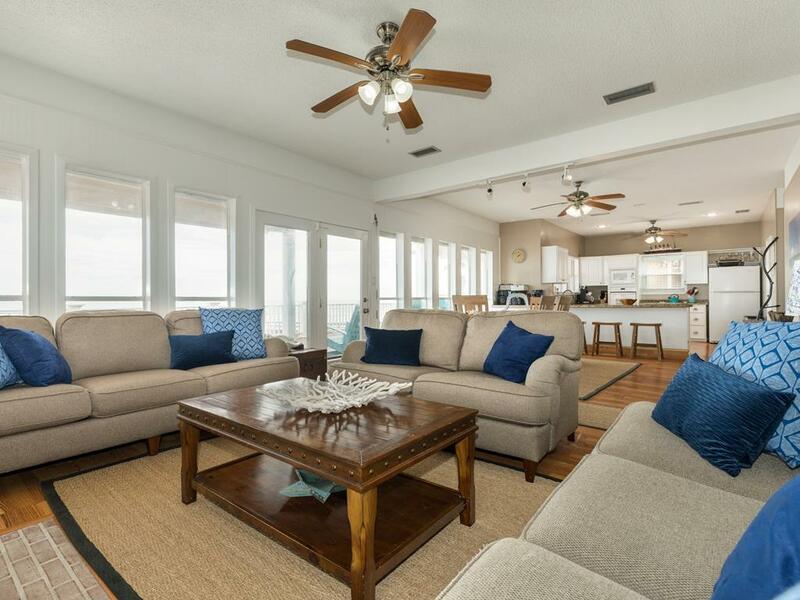 Close to town and even closer to the beach, this home boasts 2 decks, a wall of windows showcasing a stunning Gulf views, cool hardwood floors, comfortable furniture and an open layout perfect for spending time with friends or catching up with family. 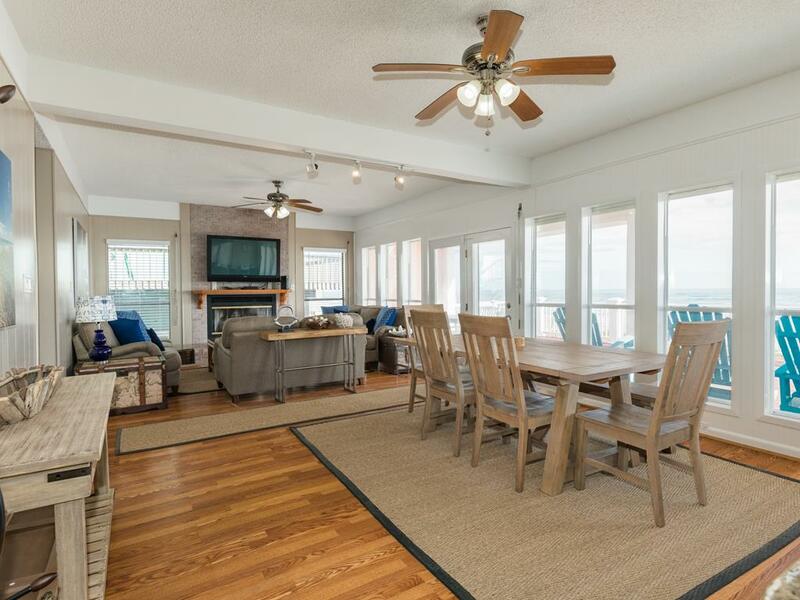 The spacious main-level deck is outfitted with an outdoor dining table - perfect for an al fresco dinner or for lazing the afternoon away - while the private deck off the master bedroom is the ideal place to sit with your favorite beverage and watch the sun rise over the water! Great location. 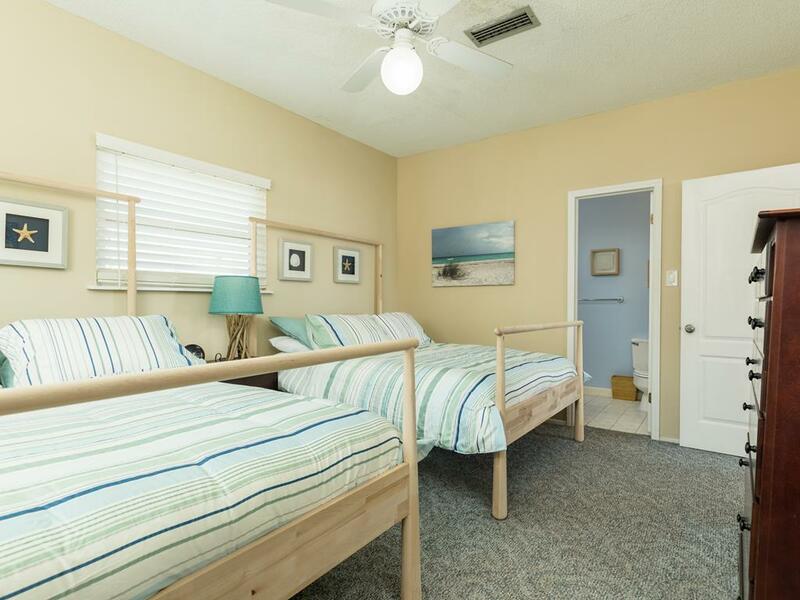 Very short walk to the beach, great view of the beach, and convenient to downtown. This is a great location. 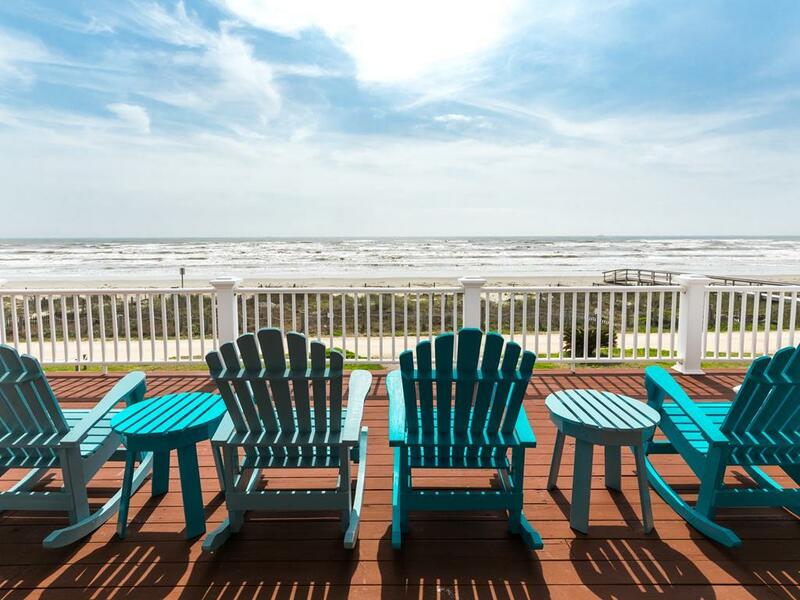 Near Galveston & literally steps from the surf. Spacious living area with great windows for ocean view. Also a very nice large deck. 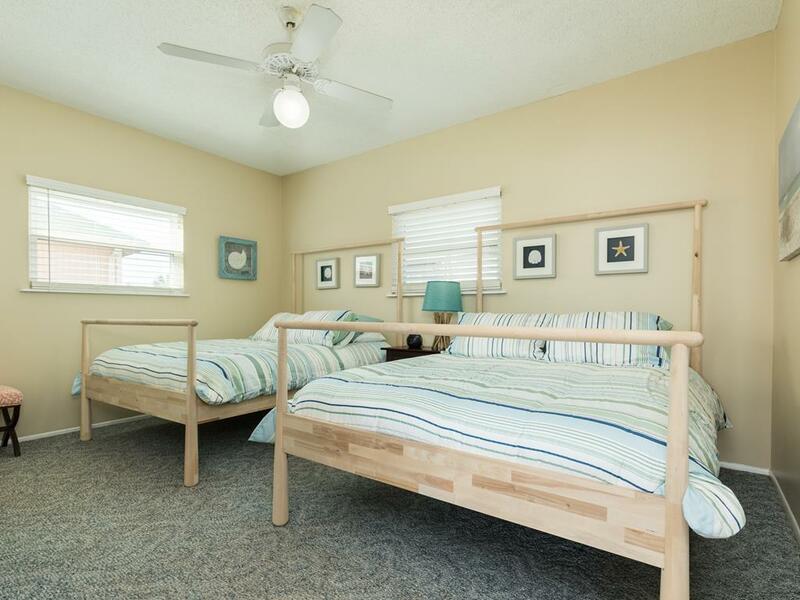 It is an older property so not as spiffy as some of the newer homes, nonetheless, it is a comfortable stay. 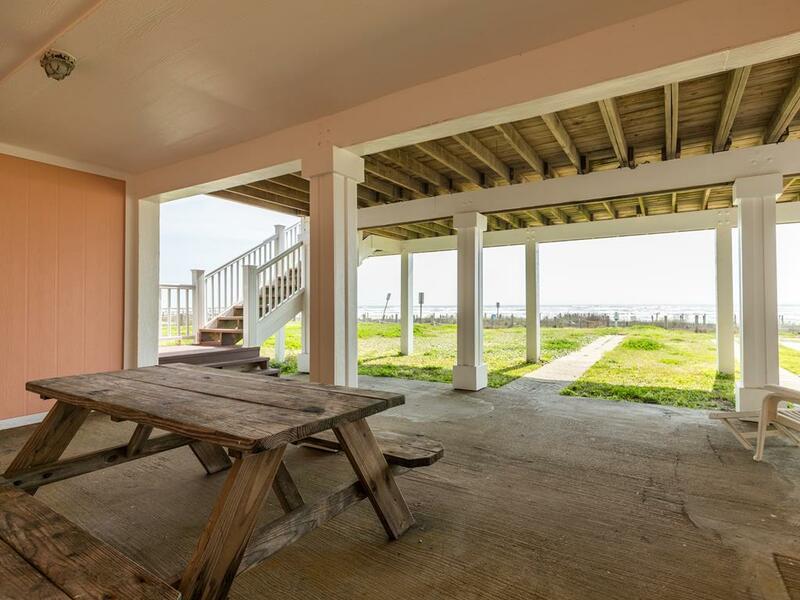 The house location is great close to the beach .The place is worn out and needs dredging up .The kitchen is very poorly equipped and has not had a thorough cleaning in a long time . Kitchen equipment and dishes are incomplete and need further attention. The grass was too tall for most of the duration of our stay . The office staff are very good and helpful . Please don't ever hesitate to call us during your stay if there is anything you need! We keep extra kitchen items in our office (pots, pans, utensils, etc.) and are always happy to replace any missing or worn out items. Excellent location directly on the beach. No public access to beach. Great shaded terrace. Bank of windows in living and dining areas offers panoramic views of the Gulf. Comfortable furniture which is new since our prior visit. This is a great home for the dogs. Having a gate at the top of the stairs to the patio made it perfect to let the dogs roam on the patio. Access to the beach was very convinent. Sand N Sea staff are great to work with and very helpful. They checked with us shortly after check-in to make sure everything was OK. Amor Del Mar is an excellent property. Kitchen was well-equipped--there was nothing we wanted that we didn't find. The beachfront deck was spacious and the chairs very comfortable. We did wish there was a shady spot on the deck when it was too sunny. We found the outdoor lower level dark at night and could not find a switch to turn on lights down there so we used our phone flashlights. Didn't think to call about it during the day. Note that the stairs were very well-lit (found the switch for that). We would stay there again! This was our 5th year at Amor. Our family of 7 enjoy this house every year. The house meets all of our needs. It's become a tradition. We weren't ready to leave this year and the grandkids just wanted to go get their puppies and come back. I told them we would on 365 days because we booked it for next year. We needed sleeping accommodations for an adult in the living area. There is a nice futon in there, but it wouldn't fold out. When we looked closer, the owner has screwed the frame so that it can't fold out. Our guest wasn't very comfortable on the futon that can't open. The kitchen is not very well equipped. 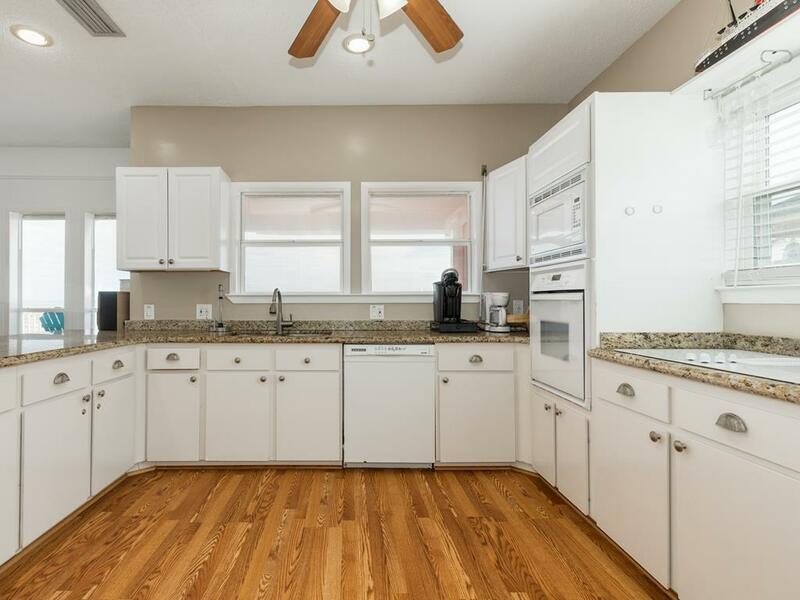 Many of the cabinets are locked, and what's left for guests is minimal. There are NO condiments available in this house. All beds are very comfortable. The upstairs sliding door doesn't lock, but there is a dowel to keep the door secure. The patio is partially covered and is large and we spent most of our time outside. Very nice. Some exposed nail heads in the porch. Nice area in the garage area with a bathroom and shower. Nice walkover to the beach - a bridge so you don't have to walk through the dunes. Hello Susie! Thank you for your comments. We are glad that you enjoyed your stay at Amor del Mar. We are sorry to hear that you were missing anything by way of kitchen equipment - next time don't hesitate to call us during your stay so we can get you what you need! Also, while the futon at Amor del Mar is not advertised for use as a bed, we do have several homes that do have sleeping accommodations in the living area. Be sure to give us a call next time and we will help you find the perfect home for your group! Five senior women stayed this weekend Amor Del Mar for an annual reunion. Home is quite spacious for this many. Furniture a bit worn but very comfortable. 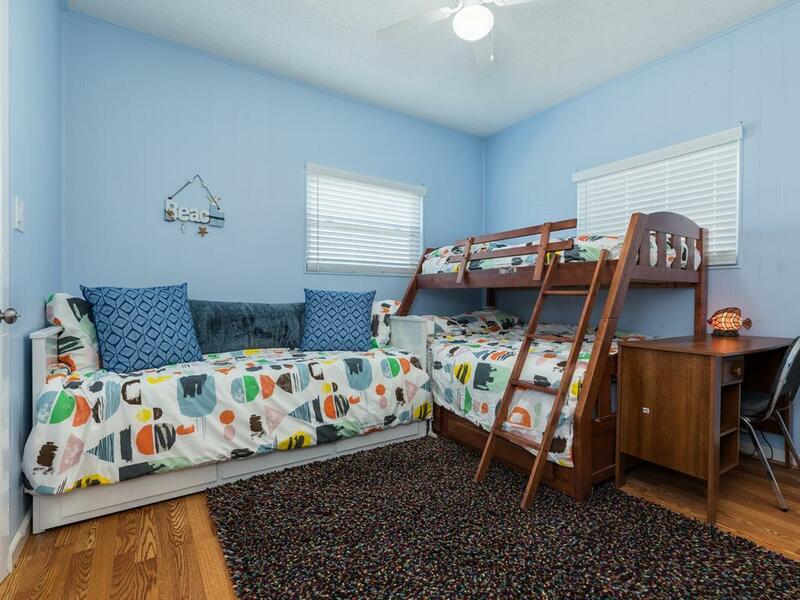 King and Queen beds great - bunk needs more support for adult use - would be fine for child. 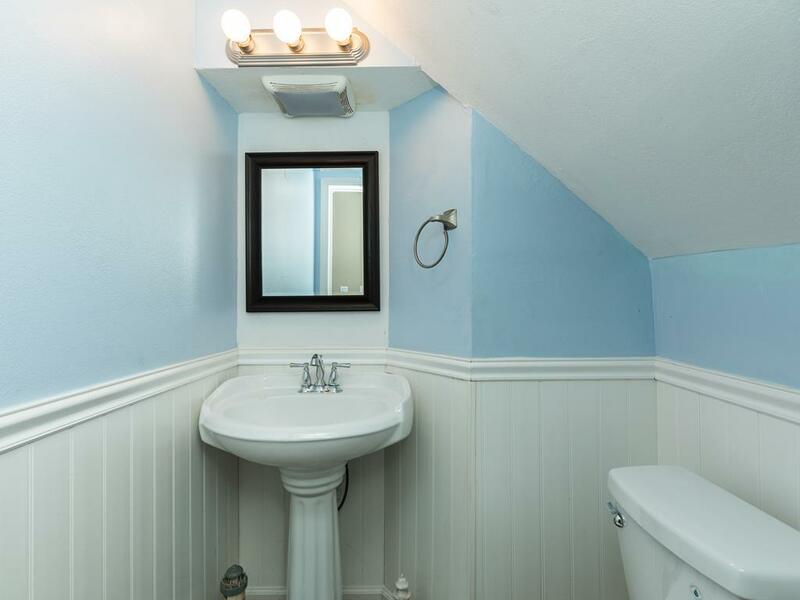 Really only has 2 baths. Kitchen well appointed. 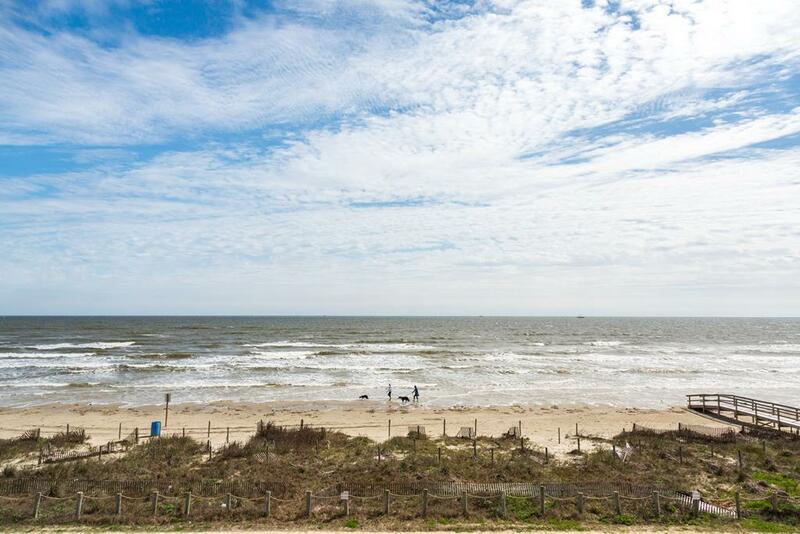 View of the surf and closeness of the beach for walks was as Fabulous as Galveston Bay can get. Proximity to City for shopping and dinner out was superior. Great home for our get together, and great suggestions from SnS personnel. We are glad you enjoyed your stay! 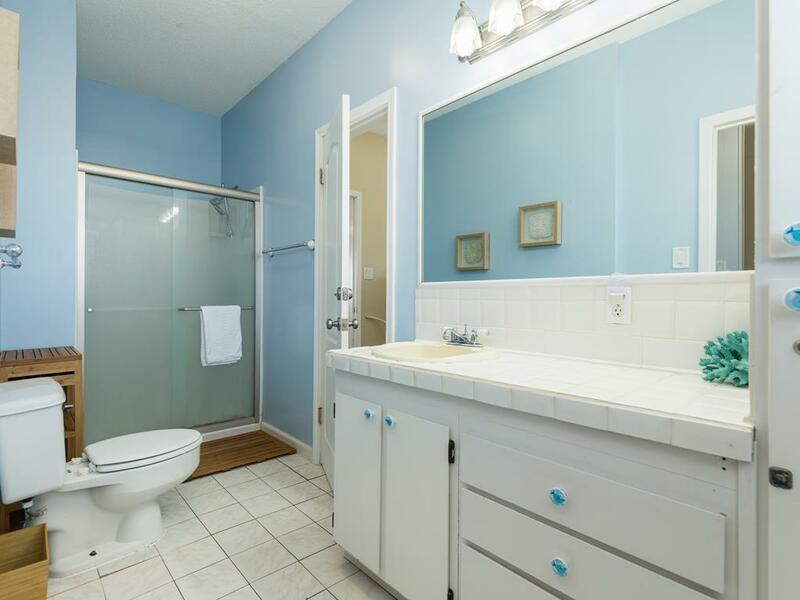 There are 2 full baths and one half bath at this vacation home. We look forward to seeing you all again next year! 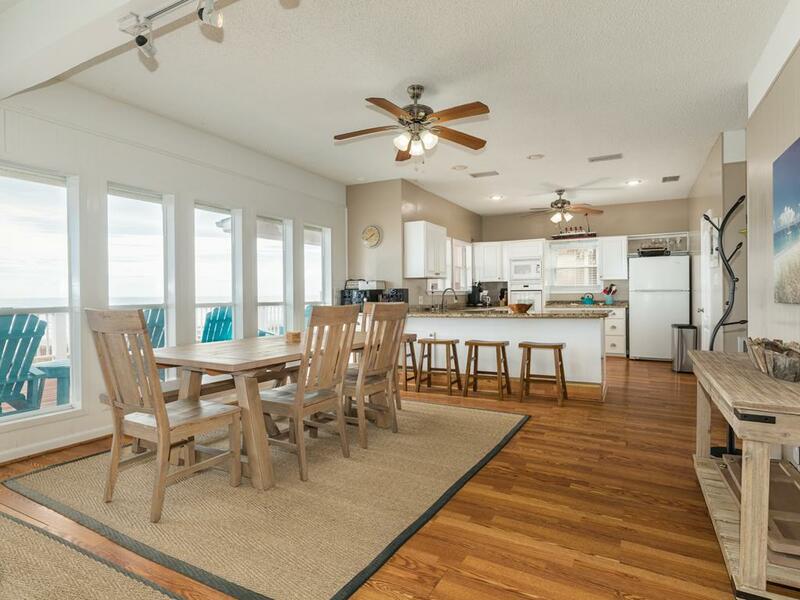 Quiet beach front home perfect for family and friends to gather on the deck. 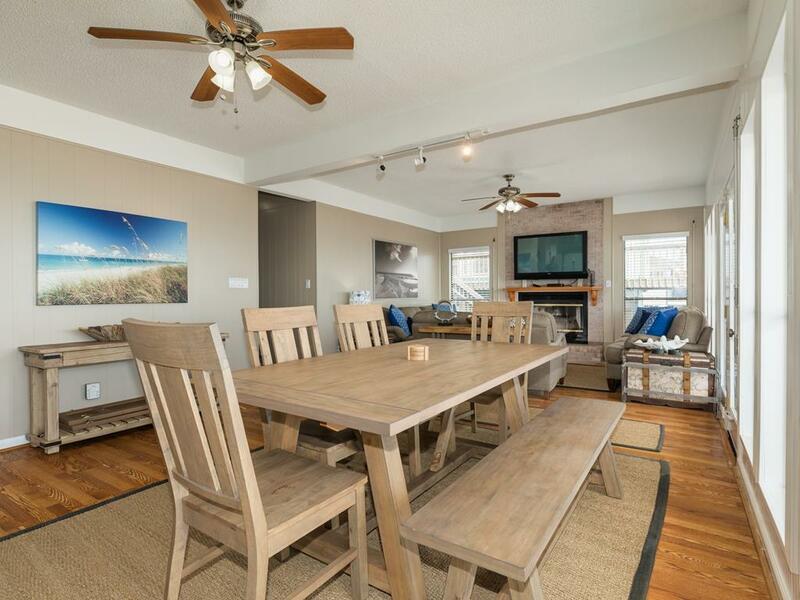 The partially covered deck is large enough for entertaining, enjoying meals, or just coffee and sunrise. We enjoyed the rocking chairs, the shady table for 6, and the spectacular view everyday during our stay. 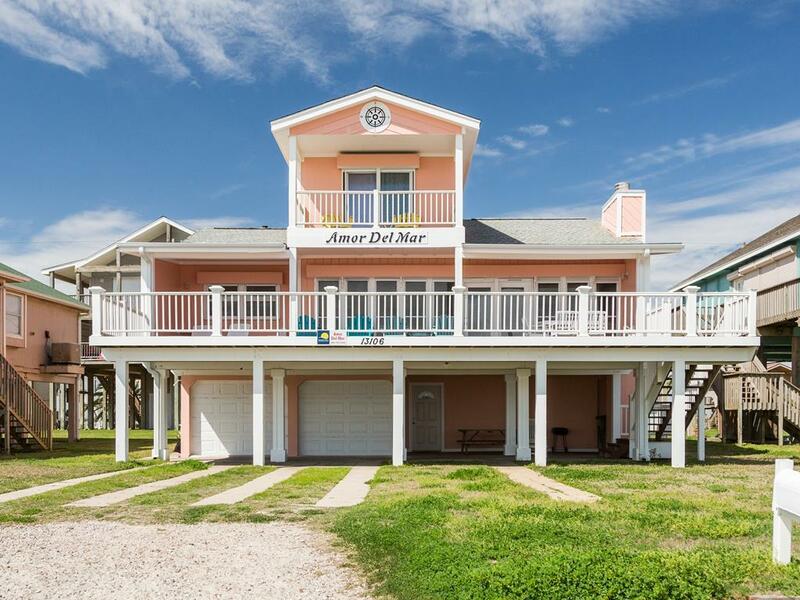 The large kitchen and layout of Amor Del Mar is perfect for family fun or couples. The comfy beds were the icing on the cake! 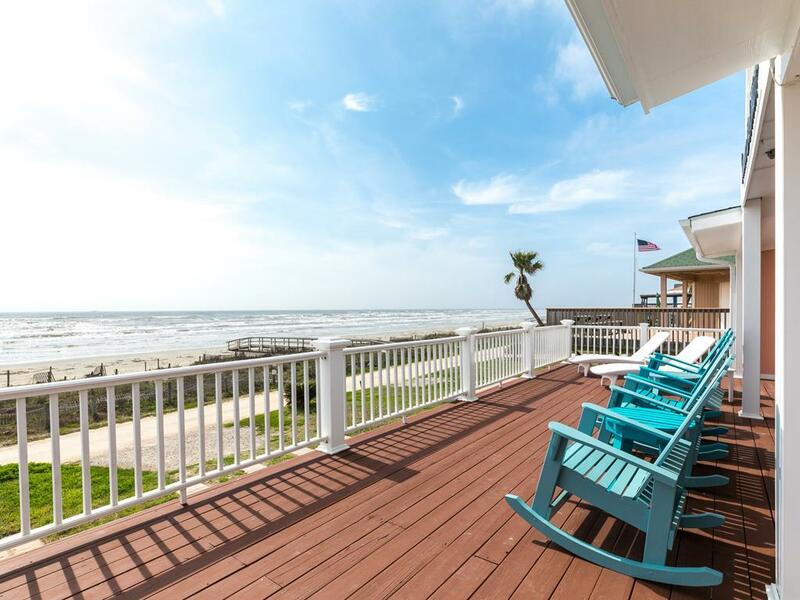 This house is convenient to shopping, restaurants, and all the tourist attractions but just far enough from the seawall to enjoy the peace and quiet. It must also be said, the friendly staff at Sand N Sea are amazing! They are helpful with reservations, attentive to detail, and make you feel like family. They make the rental process stress free and pleasant time after time. We have rented this house for several years now. It never fails us. We book again for the next year when we leave. Thanks to the owners and to Sand N Sea for making this such an enjoyable place to bring our family of 7 (2 sons, daughter in law, 2 grandchildren, husband and myself). See you next year if not before!! Great house with beautiful views of the ocean and easy access to the beach. The morning and evening sittings on the deck with the sea breeze are unforgettable ! This is a great "family friendly" property. Lots of room to spread out and enjoy! We really LOVE the deck area! Beautiful spot to watch sunsets and sunrises! Our 3rd visit! We are already planning for next year! Great location. Full view of beach with no obstruction. Comfortable beds. Perfect outdoor space. EVERYONE absolutely loved the house! All I heard the entire time we were at the property was, "This place is perfect." It was extremely clean. We loved the big deck and the nice deck furniture. It was the best family get together we have ever had. I would absolutely recommend it to anyone and would love to come back myself! We brought beach toys for the kids but it was nice to have all the extra toys, etc. at the house when we got there. We've never rented a property we were disappointed with. We have been using Sand N Sea for over thirty years. Already reserved for next year. This is a great place for kids and the outside deck is fabulous! Plenty of seating both inside and out! 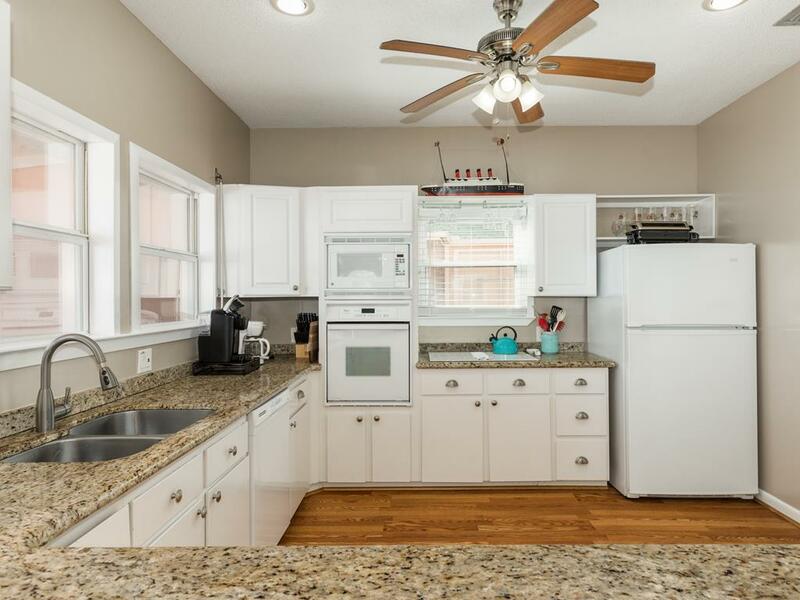 The kitchen is large enough for several cooks and allows for visiting! 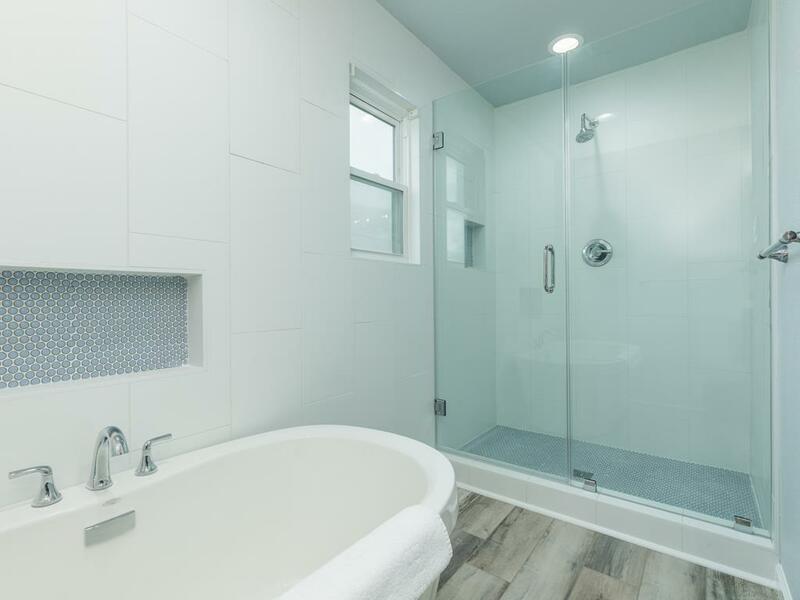 The arrangement of the bedrooms and bathrooms allows for privacy! Great house for a family vacation. 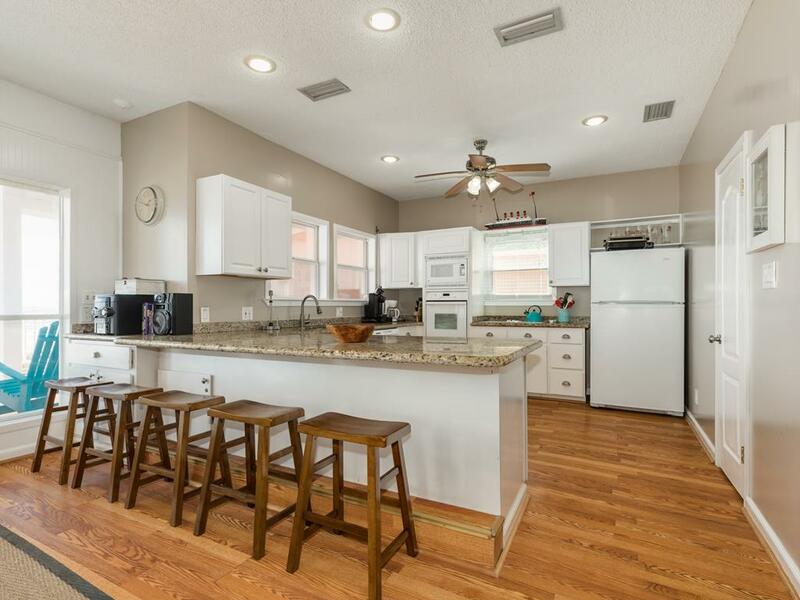 This is a GREAT property for a family group! We had a fabulous time! The deck area was much larger than we anticipated. Everyone was able to sit and visit in the evenings and have a GREAT view of the water! The house was well equipped...particularly the kitchen! Although we didn't cook a lot we did breakfast (eggs, pancakes and bacon) each morning and a low country boil (shrimp, corn and potatoes) twice! Plenty of cabinet and prep space! It was a "happy place" for a great time with family and friends! We will be back! The house had lots of room. The large kitchen was great for a large group. The porch was huge and the family enjoyed it. Easy walk to beach. 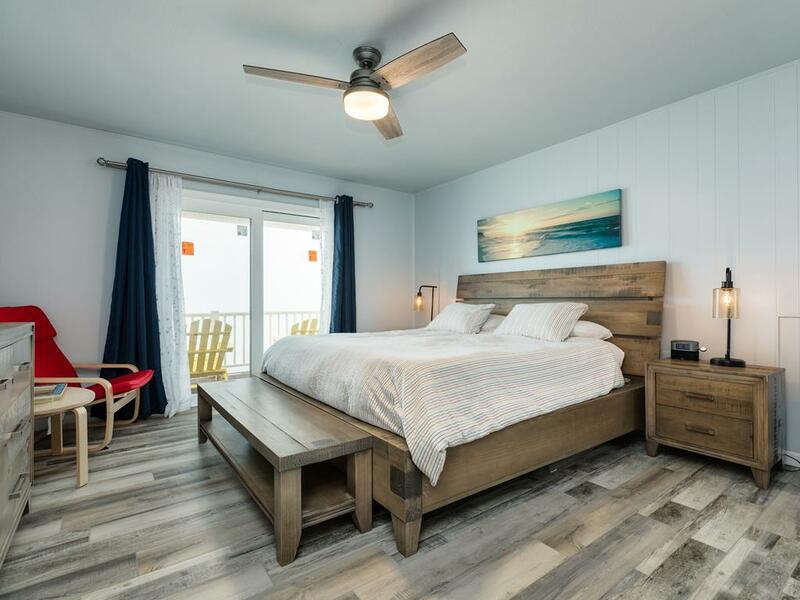 This is a BEAUTIFUL beach house we really enjoy our stay,very roomy and clean LOVE the upper room, we've decided this is the best oceanfront house in Bermuda beach!! the management is wonderful also the staff is very nice and helpful, will stay here again!!!! This place was great, conveinant, large, on the beach, and private. I really wish to buy something like that. I would consider moving to the beautiful area. We returned to Amor Del Mar because of the experience we had with this property in 2012. We were not disappointed. We had another wonderful experience, were happy with everything the beach house provided, and the rocking chairs were icing on the cake. Perfect location close to the beach on a dead end road. Provided plenty of space for four adults and a child. The property was accurately represented on the website. We already reserved for July, 2014. We came for a family vacation- our grown kids and grandkids. We had a wonderful time. The house is well taken care of, the kitchen is well stocked with all of the pots, pans, and other amenities needed as we cooked most nights. The location to the beach is great. 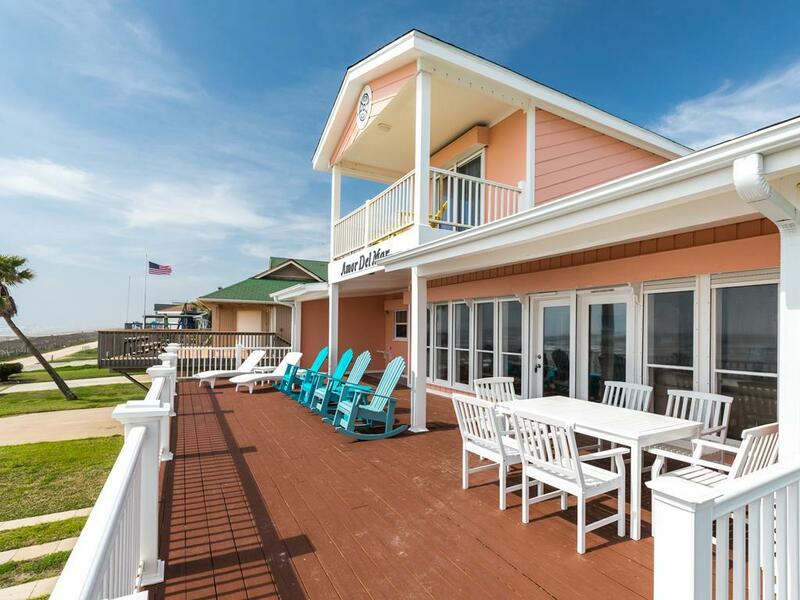 Our kids could run back and forth between the house and the beach with ease. (Our youngest was 3)The house has a great porch that overlooks the ocean and has shade on parts of it most all day. We also enjoyed the rocking chairs out on the porch. Overall we had a wonderful vacation and have already reserved it again for next year. Great location. I would do it all again. We had a great time. Kitchen was well stocked, only need to bring specialty items for preparing meals. We left a cookie sheet and muffin tins for future guests. This house was wonderful and the views were amazing. 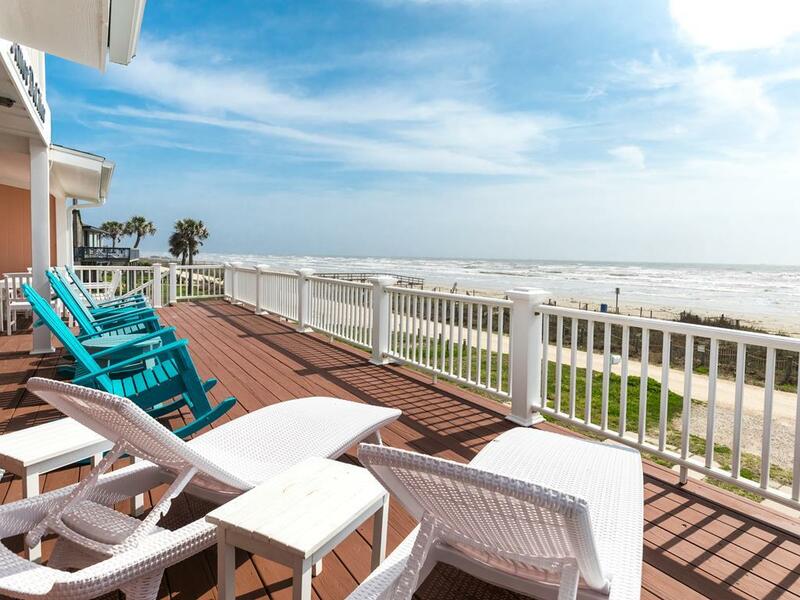 We had never rented a house in Galveston and we really enjoyed our time there with our family. We were literally steps from the beach. We could not have ask for a better "mini" vacation!!! We loved the large deck. There was always some portion of it in the shade all day long. The proximity to the beach was great. We enjoyed our week at Amor Del Mar very much and are already discussing when we can return to this same property next summer. It was everything that we had hoped it would be from looking at the pictures on the website. Everything in the house was modern, clean and in working order. The best part was walking out the door and only having the beach a few yards away. We felt like we had our own private beach with only an occasional walker or runner passing through our space. When we saw how crowded the public beaches were, especially on the weekend, we were so thankful to have our own quiet space to relax. We had a GREAT time. 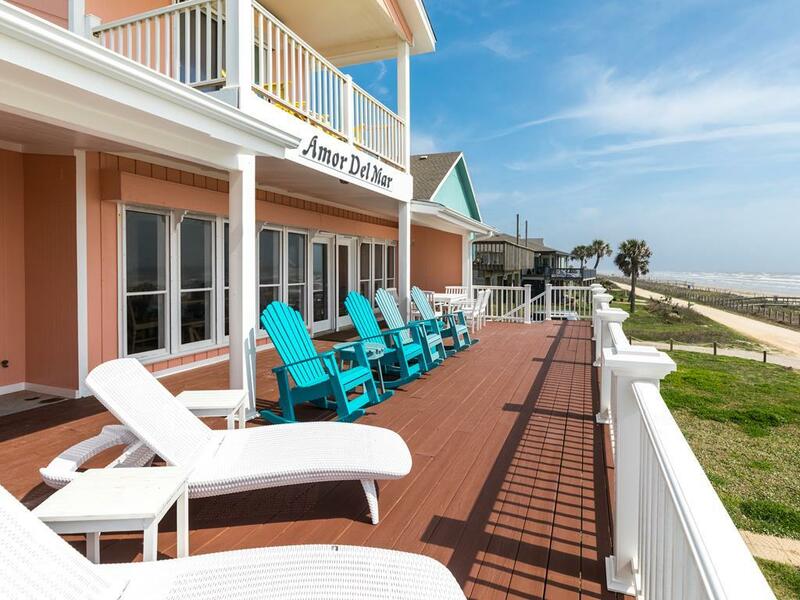 We were a little disappointed by the lack of rocking chairs on the deck...as pictured on the website. The rocking chairs were the feature that really sold me on this rental. But overall, we really enjoyed our stay. Hello Bentley-Hibbert Family! Unfortunately, the very things that make island living so enjoyable - the sun, water and salt air - are very hard on outdoor furniture. As a result, pieces are often updated by the homeowner throughout the year, and sometimes exact replacements aren't made. 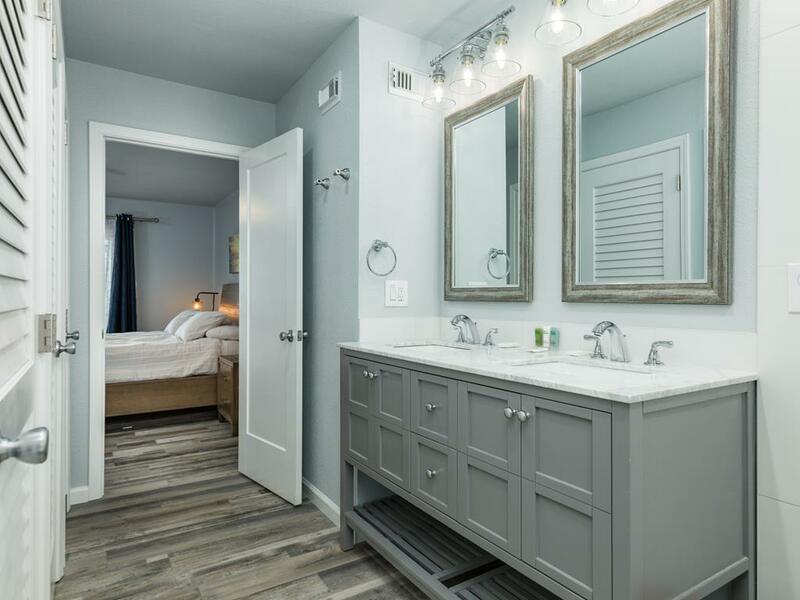 Our rental agents are always happy to answer any questions about house amenities - just give our office a call when you are ready to make your next reservation! Great beach house! Nice layout, beautiful views, easy to live in! We loved Amor del Mar and hope to be back year after year! Great property close to the beach. 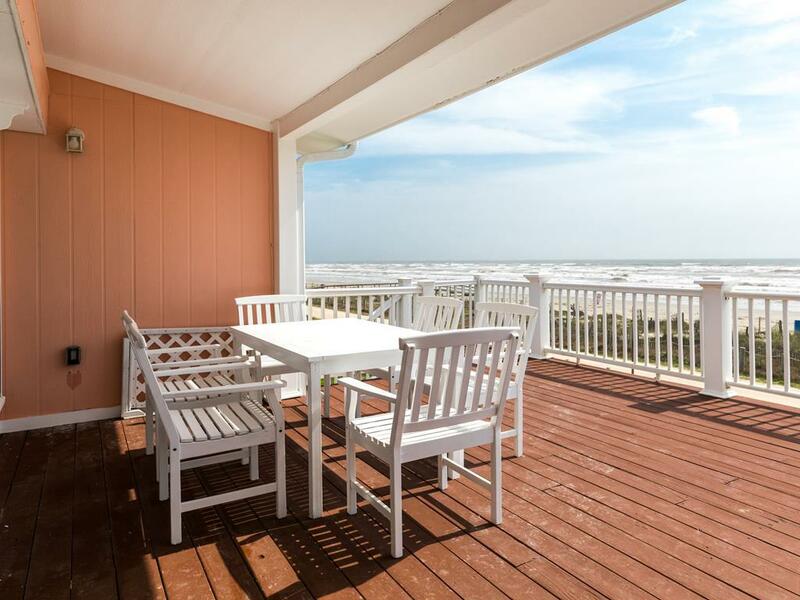 We loved the view and ocean breezes, especially on the 3rd floor deck! Just came home from this property, it was great! 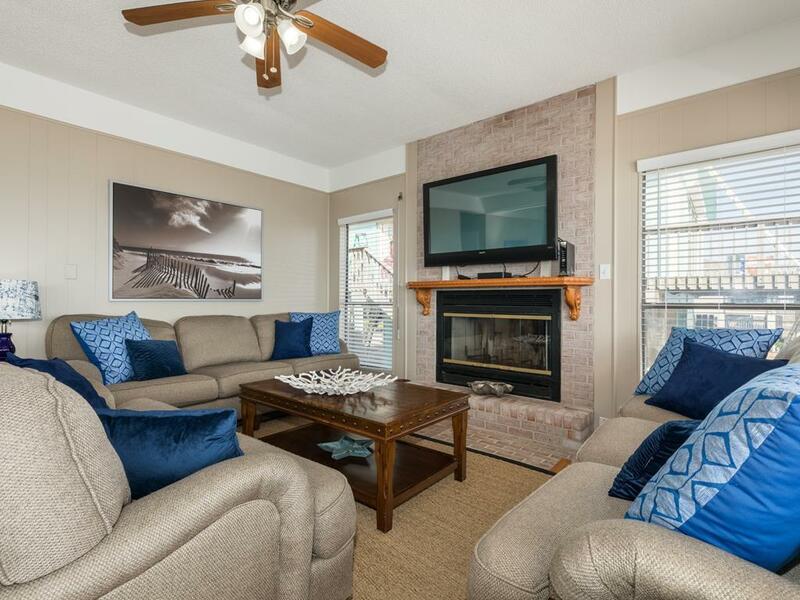 The house was roomy and very well maintained, location was perfect. We would love to come back to this home. We rented Amor Del Mar for one week. It was a very plesant, clean, and well thought house for amenities. It is centrally located , so our drive to Galveston or Jamacia Beach for sights or neccessities was very short. Overall, we had an excellent vacation and plan on staying in the house again! We had 7 in our group - this property had more than enough sleeping space as well as having 3 bathrooms was a HUGE plus. The view and front row location is magnificent. The kitchen is roomy and had plenty of cookware for us to use. This will be our summer rental next year for sure!! Very nice and comfy. Just perfect for smaller group. We had total of 5 adults and 1 baby so we had plenty of room. And we loved the huge covered deck w/rocking chairs! Spent much time rocking & enjoying the view! Very relaxing place and super convenient to town. Loved being right on beach! Will definitely utilize this place again!